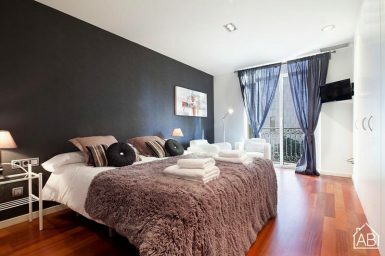 AB Apartment Barcelona has over 1,000 properties to rent for both short and long-term stays in the city. 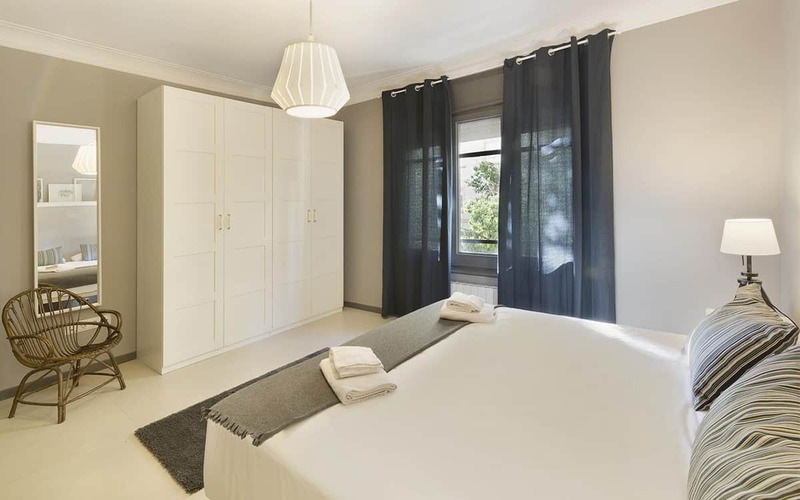 From studios to luxury pads, they have a fantastic choice of accommodation, and a wide variety of styles and sizes for their guests to choose from. 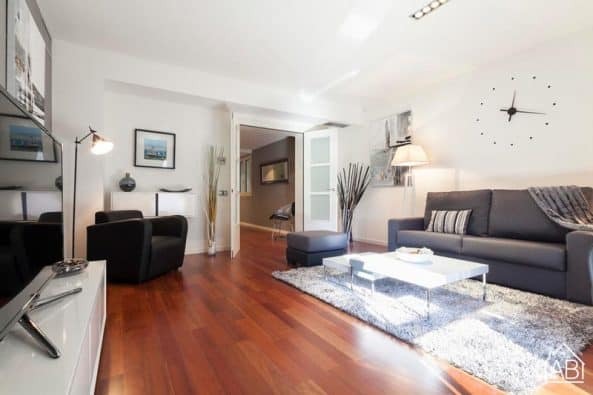 Their fully-equipped apartments can be found in convenient and central locations, from Las Ramblas boulevard to beach apartments in Barceloneta. 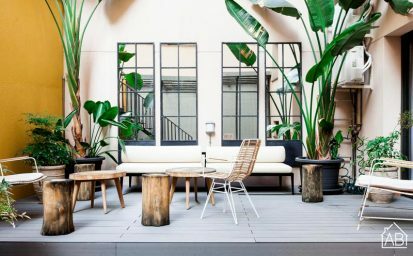 So, whether you are coming to Barcelona on a weekend getaway, on vacation, or even if you want to move here, you will be sure to find the perfect place for you through ApartmentBarcelona.com. And what’s more, when you book with them you’re automatically entered into a monthly draw with fantastic prizes like free sailing trips, food vouchers worth up to €50, free flamenco shows with dinner and more. Their office is open 24 hours a day, 365 days a year, so you can always reach them without fail. And with a team that speaks over 9 languages they promise excellent customer service, so you needn’t hesitate to get in touch with them at any time – or stay in contact via Facebook or Twitter (see links on the right). For those that are planning on staying a little longer check out the broad range of fully equipped monthly and yearly rentals listed on their website. 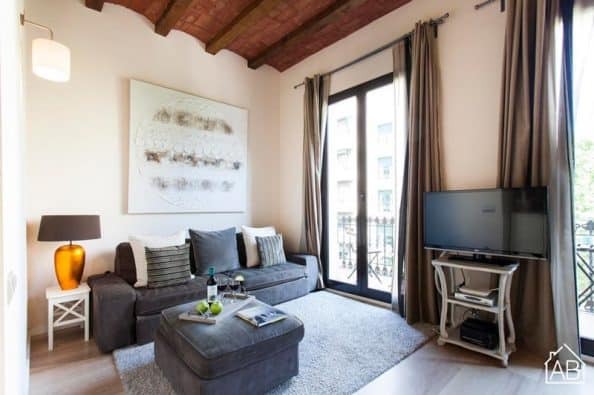 My partner and I stayed in Barcelona for one and a half months and we enjoyed everything: the city was amazing, the apartment very comfy and AB really nice and helpful. Had a lovely time in Barcelona with the family. This apartment was just what we wanted. The area was nice and quiet and well located. We did't expect to enjoy so much in this trip. I wanted to discover all the hidden corners of the city and avoid the most crowded places... Definitely AB was very kind and gave me a lot of information. My stay in the city was incredible! Amazing holidays! We spend a unforgettable week in Barcelona! Beautifful views and exelent customer service! Excellent! The office was easily located via public transport from the airport and inner city and staff were quick and efficient. We had a very good time in Barcelona, thank you, and I will definitely use your company again next time I visit. Had a wonderful experience in Barcelona and we were sorry to leave our apartment at the end of the vacation. It was very tastefully organised and had everything we needed for a short stay including a lovely kitchenette and modern bathroom. The streets are a little noisy at night but we were expecting that and did bring earplugs with us which I recommend to anyone as people go to bed very late in Spain!!! Everything was really ok. Friendly and good service and we enjoyed our stay.